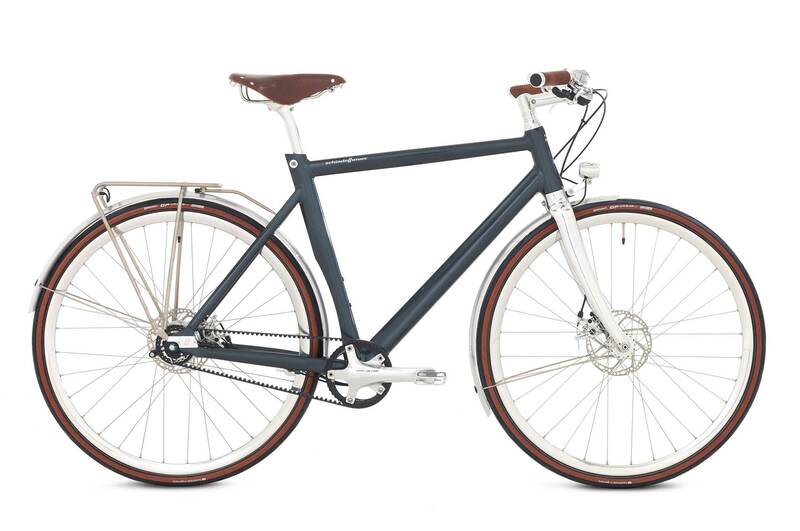 Proving that style and comfort are not mutually exclusive, Friedrich promises an ultra-smooth ride for urban or rural jaunts while looking sharp at the same time. Opt for either an 8 or 11-speed Shimano Alfine hub, both of which feature the noise and maintenance-free Gates Carbon Drive CDX CenterTrack belt. 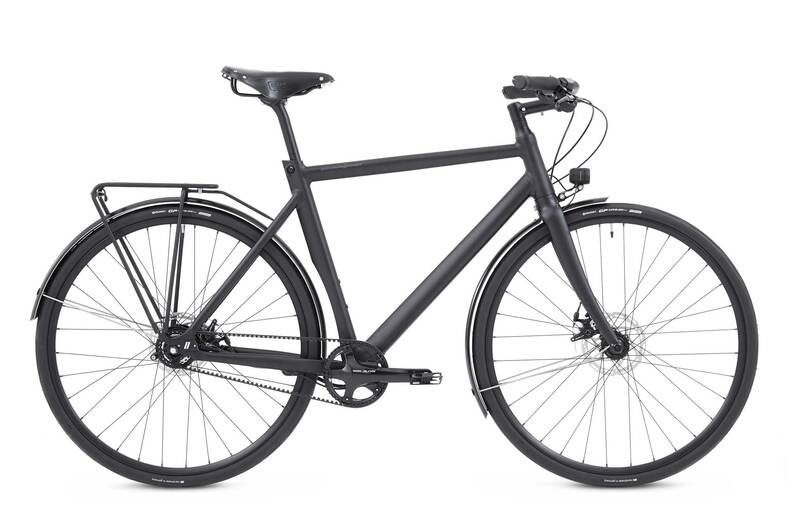 Featuring lightweight and robust Curana mudguards, an integrated bright Supernova lighting system, and a sleek Tubus rear rack, Friedrich can’t be beaten when it comes to top-level componentry. 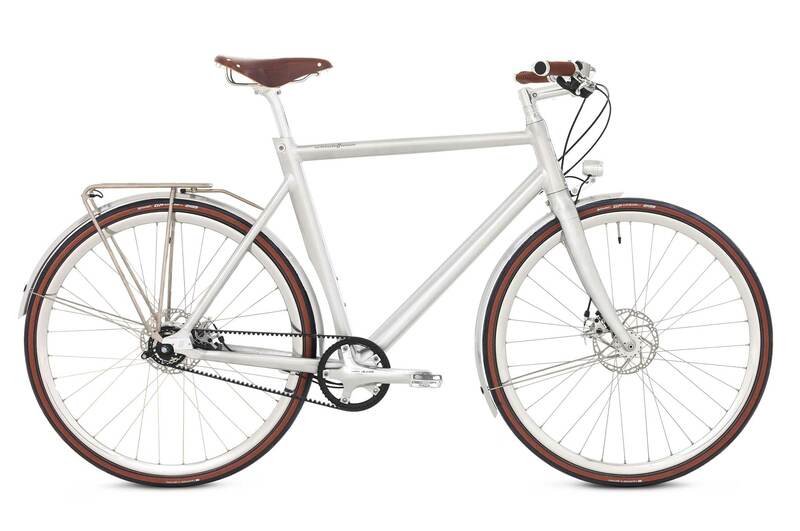 You can choose to have the bicycle delivered to a Schindelhauer dealer or directly to an address of your choice. Sail down the street enjoying only the gentle rustling of leaves, birds singing in the trees and the sound of the road below with the smooth, quiet belt drive system you find on all Schindelhauer bikes. The revolutionary Carbon Drive Technology by Gates offers top technological advantages, such as low noise and zero maintenance, making it an irresistible alternative to the conventional chain. It is also the only drive system that is completely lubricant and maintenance-free. Enjoy the freedom of riding your bike without a chainguard or ever having to roll up your trousers again. The belt features a polyurethane exterior that is weather resistant and boasts strong, stretch-free carbon fibres. The belt also lasts approximately 3-4 times longer than a chain. We always focus on form as much as on function, so all frames are equipped with patented Schindelhauer Belt Port Technology. 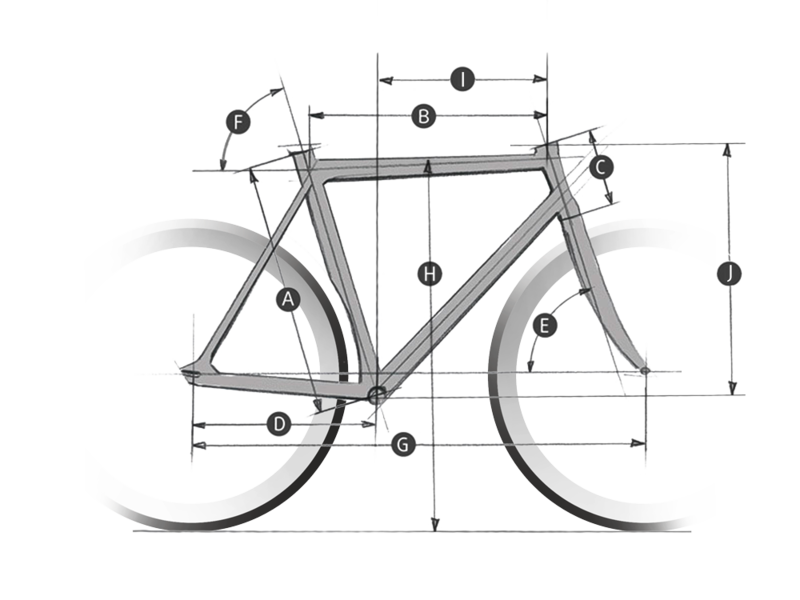 All technical components are fully integrated into the design of the bike and without affecting the stiffness of the rear triangle. 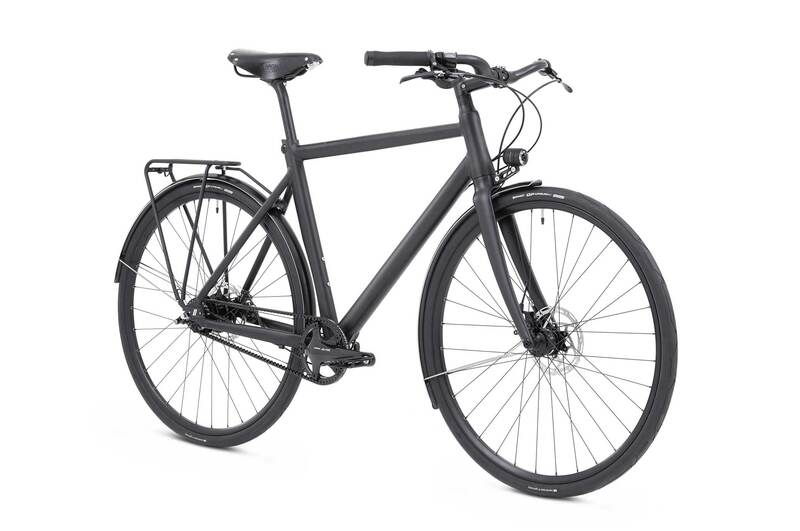 We like the idea of a belt drive that blends in with the rear triangle - with our patented Schindelhauer Belt Port (SBP) system, the opening is practically invisible. Changing your drive belt is easy. Wave-like in form, the interlocking connector forms a firm connection between the seatstay and chainstay. Plus, just like a jigsaw piece, it can easily be removed and reinstalled. Normally couplings or bolt connections would be visible around the seatstay area, but with Schindelhauer bikes a bolt connects the SBP to the stiff structure once again as if an opening never existed. We are very proud of the clean, minimalist design of our bikes. Our slider dropouts make changing a tube child’s play. Two sliders attach the rear wheel and can be moved backwards and forwards to tension the belt. After changing the tube and mounting the wheel, the belt automatically returns to its original tension setting. In line with the Schindelhauer minimalist design principle, all the technology and clamping bolts are concealed beneath a clean-looking plate made of aluminium. Two small adjusting screws integrated into the design offer a user-friendly way to adjust belt tension and align the rear wheel. When fitting a drive belt on a bike, you need an ultra-strong frame and stiff rear triangle. Parts and components made from aluminium are both strong and lightweight, making it the ideal material to use when designing stiff bikes. For this reason, at Schindelhauer Bikes we manufacture all our frames with high-quality 6061 aluminium. For maximum stiffness, each frame is T6 heat treated and for the perfect balance between lightweight design and durability, we use triple-butted aero tubing. What’s more, after we weld the tubes using the TIG welding process, we polish every single joint weld. Known as ‘smooth-welding’, polishing joint welds not only looks clean and neat, but also alleviates stress concentration and improves the fatigue strength of the frame, making cycling even more of a joy. As well as offering top performance and comfort, Schindelhauer loves beautiful, minimal designs, so you’ll always find the headset and seat clamp integrated into the frame design. The forged dropout connects the crocodile-belt-tensioning-system and our in-house developed SBP (Schindelhauer Belt Port). The bike frame is now ready to be fitted with the Gates Drive Belt. We guarantee every frame for five years. Loved by bike enthusiasts from all over the world for decades, you won’t find a classier saddle range than that made by the British company Brooks. The saddle needs a little time to break in but will last you a lifetime; even if you take it to the ends of the earth and back. 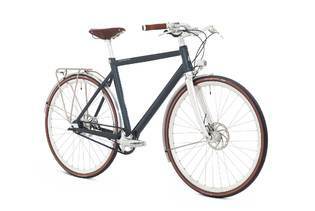 The Brooks B17 is the company’s exclusive sports saddle. Thanks to the clamp installed beneath the seat, this sleek saddle will keep its shape well into the future. Our ergonomic handlebar grips give you direct feedback from your bike, relieve tension and make every single ride a pure delight. The large contact area means pressure is evenly distributed for comfortable hands, wrists and forearms. Clamping rings at bar ends secure grips to the handlebars and prevent twisting. 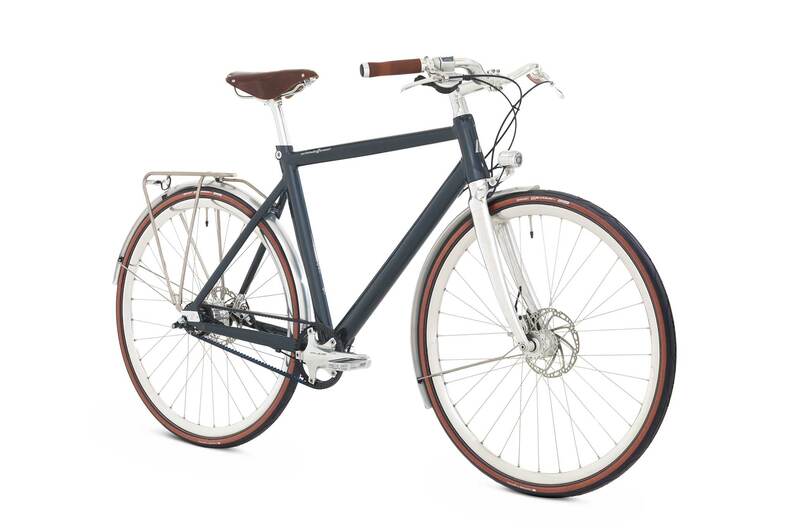 Form meets function with a leather exterior that matches the colour of the saddle and offers the utmost comfort. The Shimano Alfine comes in either 8-speed or 11-speed versions. With a total gear range of about 307% (8-speed version) or 409% (11-speed), it’s the perfect companion for long bike rides involving hills and tailwinds. Cyclists with a penchant for racing tend to opt for the 11-speed because of the extra gear range and oil bath lubrication. Being low maintenance and ultraquiet due to the pawl-free design, combining either version with our quiet belt drive gives you a match made in heaven. Gears are easily and precisely engaged with the rapidfire shifter. The Spyre is a mechanical disc brake manufactured by TRP that does things a little differently. In contrast to regular mechanical disc brakes, the Spyre is a dual-sided mechanical disc brake caliper so both brake pads actuate at the same time. This makes for precise clamping, maximum clearance and even pad wear. The pads can be readjusted tool and hassle free. The Shimano Alfine crankset is the perfect partner for the drive belt system. The hollow axle and external bearings work together to achieve the essential stiffness that the belt demands, while a fixed clamp collar gives a precise belt line to ensure a highly durable belt. In the looks department, the distinctive-looking crankset lends the bike a little extra character. All Schindelhauer bikes strive for a pared-back look, even when it comes to the headset. We’ve fully integrated the Tange cartridge bearing, so it accentuates the head tube. Seamless joints around the bicycle fork and stem area lend a flawless finish, creating the impression that the bike is cast from one piece of metal. What’s more, this also protects the bearings from dust and debris. Shapely and versatile: The Schindelhauer Noirette handlebars combine a classic handlebar shape with contemporary design. Used as an interpretation of the "Stuttgarter" handlebar when mounted upright, a simple turn of the Noirette converts into a sporty drop bar reminiscent of the half drop bars commonly found in racing in the past. Based on the casing of the Continental Grand Prix, we have designed perhaps the most sportive urban tyre ever made. We achieved a more comfortable ride by extending the volume to a wider 35-622 dimension. BlackChili high-end rubber compound has been used to provide the right grip in both wet and dry conditions. With PolyX Breaker and an additional rubber layer, this folding tyre possesses all-round puncture protection and the black reflective tape ensures extra safety at night. All this at a weight of only 390 g. The tyre is available in all black as well as with brown side walls. The CNC-machined aluminium housing for the Supernova E3 Pure light is a real eye catcher and lends this bike some dynamic charm. CREE LED technology and an optimised reflector provide excellent illumination – even when going fast. The stand light function makes for increased security and ensures you’ll be seen on your nightly rambles around town. Impressively bright and lightweight, the Supernova E3 Tail Light 2 adds the final touch to a top-notch lighting system. The Supernova is the brightest tail light on the market within permitted limits; it includes a stand light function and weighs a mere 12g. That’s as light as safety gets. Mudguards are a must for this bike and the understated CLite guards by Curana are the best match on the market. Due to the innovative aluminium sandwich design, these mudguards are both slim and stiff at the same time. The Shutter Precision PD-8 hub dynamo is the powerhouse of the lighting system and doesn’t only shine through its high-polished surface. Its lightweight and low-friction design add to our bike's nimbleness and provides both lights with energy. In collaboration with Tubus, we’ve adapted the Fly rear rack so it fits this bike like a glove. We integrated the Supernova E3 tail light into the design and gave the cable duct an elegant finish. Made from stainless steel, the rack is both lightweight and robust enough to hold up to 18 kg. The Fly is also 100% compatible with Ortlieb products. which frame size is right? The frame sizes listed are only a guide. Finding the right sized frame for you depends on things like your height, personal preferences and riding style. We always recommend taking a test ride at one of our dealers. With your shoes on, get a spirit level and place it between your legs. Position it at the groin area, as if you were sitting on a saddle. Keep holding the spirit level in the same position parallel to the floor as you move out of the way. 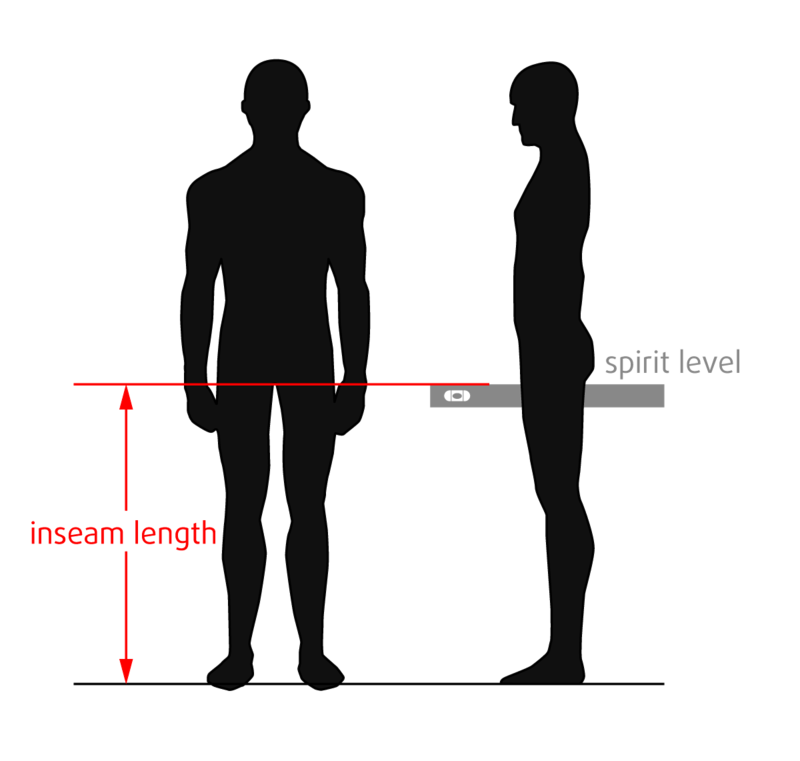 Measure the distance between the top of the spirit level and the floor. We reserve the right to change minor features without prior notification.